A true wardrobe icon is the Lotus Lizzie court shoe. Remarkably versatile and exceptionally comfortable, this Lotus ladies’ heeled pump will lend itself to a wealth of looks. 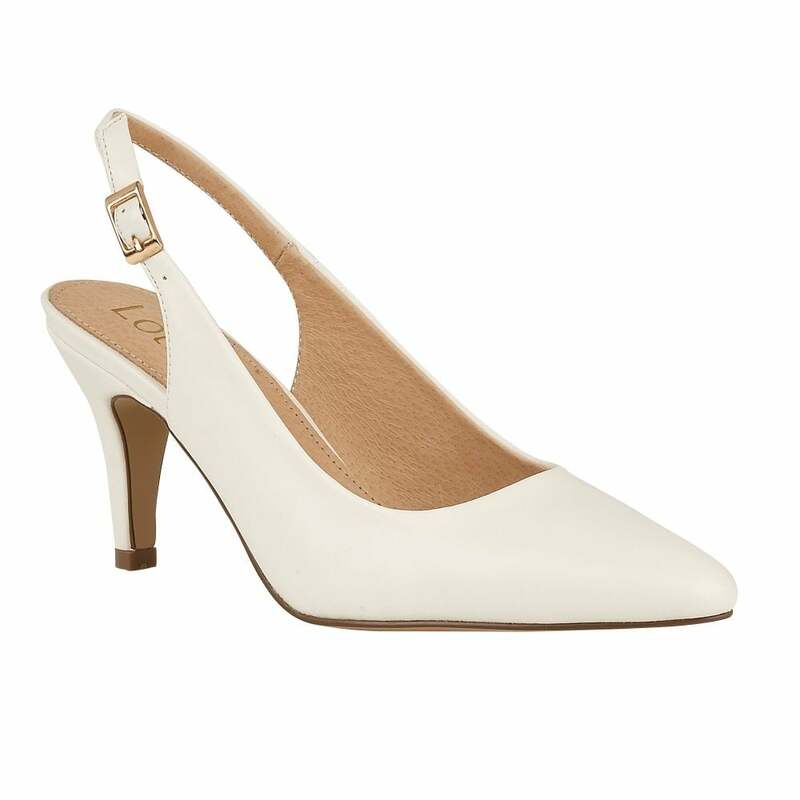 This pointed toe, white faux leather court shoe is understated, but it features comfort features that will put a spring in your step; the adjustable sling-back gives an enhanced fit, the 9cm stiletto heel is wearable, whilst the leather linings and cushioned in-socks provide enhanced comfort.